Assembly Speaker-elect Mike Sheridan has named his team, for the legislature&apos;s Joint Committee on Finance . 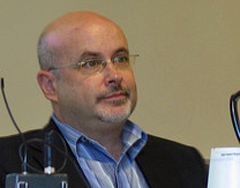 Madison Rep. Mark Pocan was co-chair of the powerful budget writing committee last session, as a member of the minority. Now Democrats are in the driver&apos;s seat, and facing an enormous challenge in a projected five billion dollar state budget deficit. "Democrats are prepared to address the budget and our economy, and the fact that the governor, the state Senate and the Assembly all have a shared set of values, means that we can get to fixing that in a way that&apos;s much better for the middle class and working families," says Pocan. "I think it&apos;s important that we reach out to people in the Republican party, but more importantly the values that protect the middle class and working families of Wisconsin. When they want to work with us to do that, we&apos;re certainly going to do that. There&apos;s no question that, in the last budget, we had to work with Republicans to craft the budget that we did. But, it took way too long, and was kind of put together with band aids and chewing gum." The budget process dragged on for months last year : Wisconsin was the last state in the nation to finish its fiscal work. Pocan says that won&apos;t happen this time. "We&apos;re clearly going to get this thing done on time. We&apos;re not going to drag out the process (and) have a situation like we did last time, where we the last state in the country to get our work done." The other Democrats on the panel are the vice-chair, Pedro Colon of Milwaukee, Tamara Grigsby of Milwaukee, Jennifer Shilling of La Crosse, Cory Mason of Racine and Gary Sherman of Port Wing.